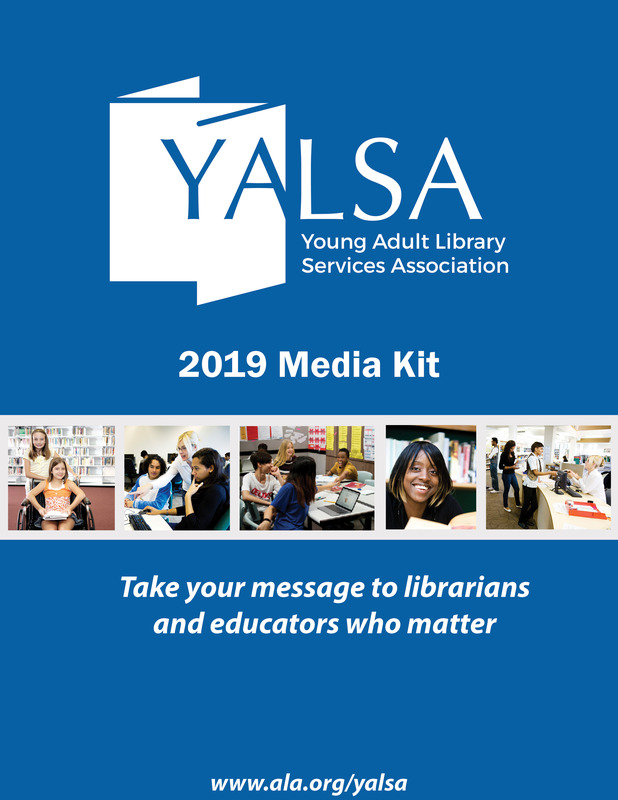 By Crystle Martin October 27, 2018 January 5, 2019 Governance, YALSA Info. In August, YALSA welcomed our new Executive Director, Anita Mechler. We are very excited to have her with us as we embark on a new round of Strategic Planning. 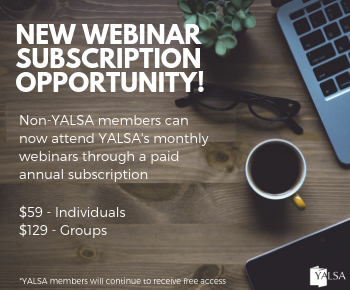 As you may know, the YALSA Board works year round. Since July we have been creating, discussing & voting on Board documents virtually. The Board decided to pilot holding the Edwards Celebration at the YALSA Symposium starting in 2019. The Board finished up revisions to the Mission and Vision and developing an Equity, Diversity, and Inclusion Plan, as recommended by the Advancing Diversity Taskforce. This document will be posted soon and the EDI Plan will also be published as a standalone document. We have created a Strategic Planning timeline. The board will be keeping members updated as we make progress through blog posts. The Board also created a taskforce to Reenvision Teen Read Week and Teen Tech Week into a larger advocacy initiative. This taskforce is already working and will have its recommendations to the Board in April. The final document we have worked on since July is the Committee Impact Report, which initiates the revamping of our quarterly committee report. This will help celebrate the work of committees and make their work more transparent. Thank you to Marney Welmers for her generous support and sponsorship of our Service to Young Adults Outstanding Achievement Award. 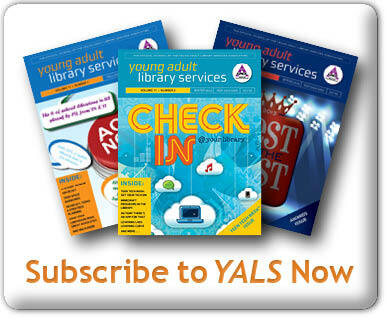 Thank you to Tess Wilson for guest editing the fall issue of YALS on Year Round Teen Services. It will be available to read very soon. The 2018 YALSA YA Services Symposium will take place in Salt Lake City, UT, November 2-4, 2018, at the Sheraton Salt Lake City Hotel with a theme of: Zeroing In: Focusing on Teen Needs.Registration is open now and the preliminary program is online. Take a moment to read the full Advancing Diversity Taskforce Report, which is now available! 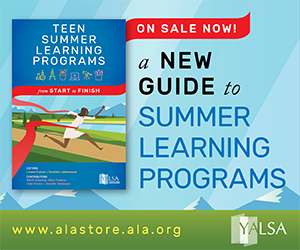 The YALSA Board approved a new version of YALSA’s Competencies. Make sure to check out the YALSAblog to learn more about these competencies. Find out about the upcoming free webinar competencies series here. 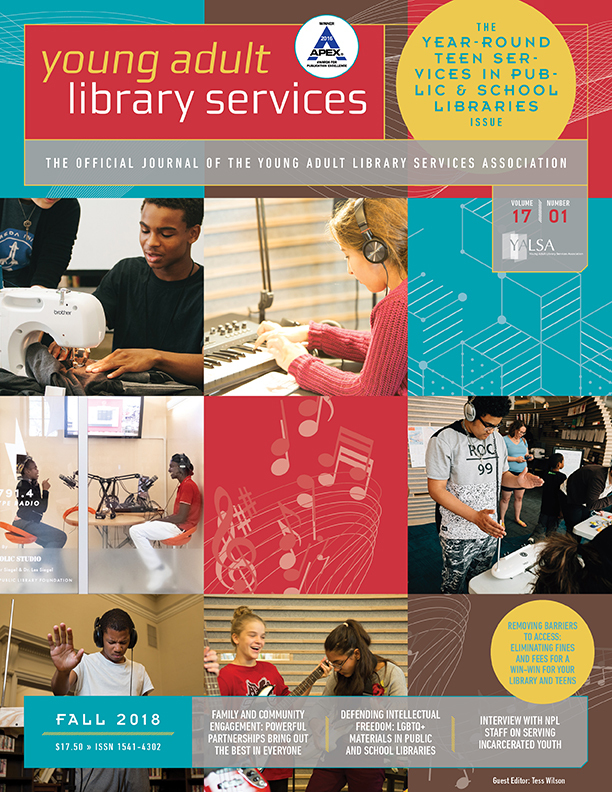 The Public Library & School Library Collaboration Toolkit, the result of a three-year collaborative effort with members of AASL, ALSC and YALSA, provides information, research, and examples to will help facilitate and incorporate collaborative initiatives. Make sure to check it out! Check out the The Hub for the the latest on YA resources! Check out the Current Projects page to stay updated on what’s going on!